Because of the large space of the congress facilities (up to 2 500 people), cutting-edge technical equipment, a corresponding accommodation capacity and, primarily, a comprehensive offer of services, the hotel became a popular venue for a number of specialist, social and sports events and meetings. The excellent transport accessibility and the hotel's garage parking for cars and buses further increase the attractiveness of the Hotel even for individual guests coming to Prague for education and entertainment. The Hotel restaurants and bars, famous for their excellent cuisine - both Czech and international, along with the wellness and fitness centre and the shopping mall represent services open to the general public as well. 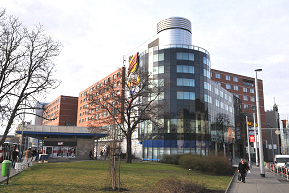 The Hotel was pronounced the Best Clarion Hotel of 2009 in Europe within the international network of the Choice Hotels International. A total of 534 Standard or Executive rooms and 25 deluxe suites are available for the guests, as well as eight rooms designed and set up specifically for the handicapped. All rooms are equipped with ensuite bathroom facilities with a bathtub, a mini-bar, an in-room safe, a direct-dial phone, an LCD satellite TV, Pay TV and free wired Internet access. Executive room guests can also take advantage of the Club Lounge and other exclusive services. All rooms are non-smoking. The above rates include buffet breakfast and all local taxes, incl. 10 % VAT. 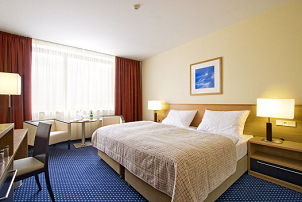 Please note that to guarantee the special room rate, bookings must be made prior to 9 August 2011. All individual guests will be responsible for booking their own rooms, and for settling their own accounts on the day of departure by cash or credit card. Personal cheques will not be accepted unless otherwise approved in advance by the Hotel Financial Controller. On arrival a pre-authorization will be taken on the client's credit card. Should you experience difficulty in booking your accommodation, please contact Klará Vidimová.